We built our Toronto wedding photography prices to meet most couples' needs and to offer the BEST VALUE in the GTA. Still, we understand that your special day is unique and this photography price list is only a starting point! As such, if you need a custom photography package, please contact us. As of January 2019, we are no longer offering albums and we can direct you to a service provider. Sometimes the bride and groom inquire about the digital negatives. Most of my colleagues do not share these files for reasons I am not going to address here. However, if you believe you want those files, I am ready to provide them in a DNG format. Why DNG and not CR2 or NEF which are Canon and Nikon's proprietary files? Simple! In a few decades, Canon or Nikon might not be around (think about Kodak), but the DNG standard will be recognized by any image processing software. Your additional cost for the digital negative files is $1,000. 1. HOW DO WE HIRE YOU? After our initial meeting, if you want to book our services, we will prepare a standard agreement. Once we sign it and you pay the retainer fee, your date is secured. 2. Are There any Hidden Fees We Should Expect? If your marriage takes place in the Greater Toronto Area, the rates above apply. There are no extra fees such as travel fees and post-processing fees. We do not have any hidden fees! Period! 3. Do You Offer Custom Pricing? If all nuptials were the same, then our craft would be a science and not an art. In other words, we recognise that despite our best efforts to create three packages that match most of our customers' needs, there are couples with different requirements. For Indian wedding photography, destination weddings, elopements, or any other events that don't fit our packages, please do not hesitate to contact us. We also offer an à la carte option so you can build your own package. However, Toronto is a multicultural city where no two nuptials are identical so make sure you email us for a custom rate. Many brides request quotes for photo booths. While we know photo booths are fun and guests love them, we are not currently offering the service. 4. Do You do Destination Weddings? How Much Do You Charge? While we are not destination wedding photographers, we do destination weddings. Because there are so many variables when it comes to out of town events, we need to build a custom package for you. Do not hesitate to contact us for a custom quote. 4. Do You Do South Asian, Chinese, Persian or other ethnic weddings? Do they Cost More? Yes, we do all type of nuptials from Christian to Jewish to South Asian and Chinese weddings. The cost depends on the number of shooters and duration of your event. Most of the time, our a-la-carte pricing is sufficient to build a custom package. Still, if you require special pricing, do not hesitate to contact us. We call our style assisted photojournalism. 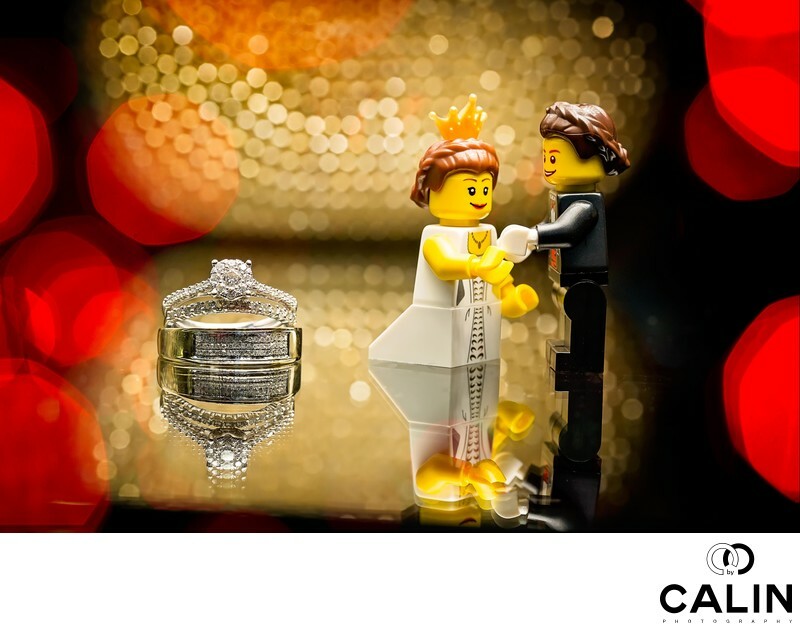 For 90% of your big day we do not intervene. The only times when we direct are: formal family photos, bride portraits, groom portraits, couple portraits. 6. How Long After Our Wedding Will We Receive the Photos? On average, we aim to deliver your images 7-8 weeks after your special day. If you require your images immediately, there will be a fee associated with it. 7. Do You Offer any Sales, Discounts or Incentives? One of the most common questions we are asked is if we can provide a discount. The answer is simple. As we are obsessed with cutting costs, our collections already include a discount and you will receive it even if you don't ask for it. It is the strategy implemented by Walmart and it served them very well. A 1% drop in fees results in a 10% profit margin decrease considering all the other costs unchanged. We do not aim to be the cheapest studio in the Greater Toronto Area but rather provide the best value to our clients. As such, any further discount would damage the quality of your images and we are not prepared to take that risk. However, we acknowledge the fact that every bride has a budget and we offer you a referral program that allows you to receive a discounted rate should you refer a bride who hires us. Based on our calculations, our cost of acquisition per couple is about 10%. If you refer us a bride and she books or services, we will immediately reimburse the 10%. In the past, we had brides referred us up to four friends, which resulted in a 40% discount. Please refer to the chart below to see the average wedding photography price in Toronto. Our Gold Package is cheaper than that of most studios in the GTA. 8. Why Do You Publish Your Photography Price List? Many couples photographers asked us why we make our price list public. Some of our colleagues only offer custom quotes to each client upon written inquiries. To maximize profits, they practice the so-called price discrimination, which is the process of selling the same service or product to different people and charging different fees, depending on the bride's willingness to pay. 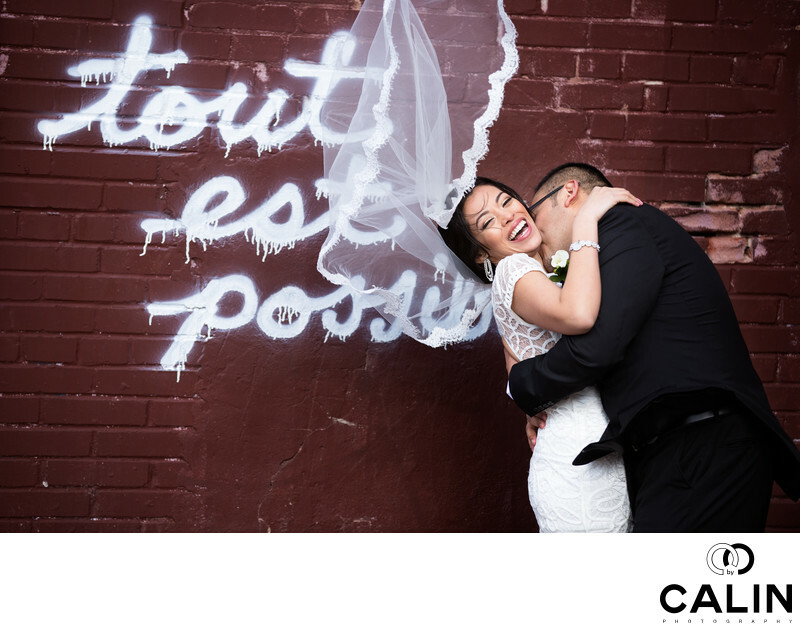 To give you an example, many Toronto wedding photographers ask their brides where they are getting married then depending on the venue they provide a custom quote. A wedding at Casa Loma will cost more than the same event at Toronto Botanical Garden. Also, some professional photographers charge more if you get married on a vanity date (07.07.2017) or on a long weekend. 9. We are Busy Professionals. Can We book our Engagement Session on a weekend? Will it cost us more? On the weekends we photograph weddings and it is hard to find a weekend where we are available. We can book a tentative date and reschedule if we are hired to document a wedding. The cost is the same. 10. How Many Engagement Photos Will We Receive? CAn We Pay PEr Image? On average, you can expect 50-70 gorgeous images from your engagement session. We do not offer an option to pay per image. 11. Can We Print Our Engagement and Wedding Photos? Is there an Additional Fee? Absolutely! You can print them in how many copies you want. Still, you are not allowed to sell or publish them without our consent. There is no extra fee to print the photos. 12. Do You Offer Free Consultations? It is in our highest interest to deliver the best images possible. As such we act as free consultants for the bride and groom to save you money and maximize the return on your investment. During our consultations, we will provide even budget tips, recommend you reliable and affordable vendors. 13. Have You Shot at Our Venue? If Not, Could You Visit our Venue? Do you Offer Discounts if You Haven't Shot at our Venue? The principles of photography apply regardless of the venue. However, many brides feel more comfortable when their photographer is familiar with their particular venue. In such cases, we will gladly visit the banquet hall because we value your peace of mind. In case of remote locations, that would be possible for a fee that will cover our costs. Some photographers have "bucket lists" of venues where they would like to shoot and offer a 5-10% discount. However, our packages are significantly lower than those of the above-mentioned studios and we do not offer a "bucket list discount." 14. What Happens if We Exceed the Time Included in the Package? We always suggest carefully preparing the timeline and we can assist with that. If your special event runs late, the a-la-carte rates apply. 15. What Happens with the Retainer if We Cancel or Reschedule our Wedding? The retainer is a booking fee to secure your date. If you cancel your wedding the retainer is non-refundable. Still, if you reschedule the date more than 6 months in advance of the original event, we might be able to book another wedding. Let's discuss and find a date that works for everybody. 17. Do You Charge Travel Fees? It depends! If you are planning a wedding in the Greater Toronto Area, there is no travel fee associated with it. On the other hand, if you are having a wedding in Bali, things are different and we need to factor in costs of accommodation, transportation, etc. In such cases, we will need to work on a custom package. 16. We Have a weekday or a Winter Wedding. Can We Get a Discount? Our prices are built based on our cost analysis and as our costs do not fluctuate depending on weekdays or seasons. As such, we do not offer discounts for winter or weekdays events. 17. Why Don't You Advertise a Lot? Answer: Advertising is costly and often provides dismal results. Over the years, we learned which channels work and which don't so we currently advertise only when we can guarantee a maximum return on investment in our advertising dollars. By being more efficient advertisers, we save you money. After all, you have to pay for our advertising. 18. Do You Charge Extra for Post Processing? Answer: No, we do not charge extra! We are familiar with the practice of including only a handful of processed images in wedding packages. However, that contradicts our ethical rates credo, so we included post-processing in the collections. We edit every single photo that you receive, and that post-processing is included in the services listed above. 19. Do you Price Match? Can I get the Platinum Package for Less? "Photographer XYZ offers an a album. Could you do the same?" No! Because our rates are built to be very aggressive, we already beat our competitors' prices. Also, we continuously monitor rates in the Greater Toronto Area to ensure our competitiveness. As such, we don't need a quote matching policy. Even more important, we cannot allow cheapo photographers to set our fees because they don't know the market and don't care about our customers. However, if you find a cheaper photographer, please make sure you compare the total cost and inquire about hidden fees. On a regular basis, we experience the boomerang shoppers. In other words, brides ask for a quote and meet us to check the quality of our products and services. We always advise our clients to compare our competitors' offerings. Invariably, after a few days of meetings with our competitors, or couples contact us eager to book our services. The boomerang effect is a clear indication that our rates are meagre. Whenever the boomerang effect stops, we will know that is time to revise our collections. 20. Do You Raise Your Prices Often? The cost of living in Toronto increases every year. Just look at the housing market! However, consistent with our ethical rates policy, we attempt to keep our rates unchanged over time. For example, this year we have not increased our prices. When considering inflation, in real terms or effective fees dropped year over year. By becoming more efficient, we chose to let our customers benefit from our efficiency. 21. Do Your Prices Include Taxes? A 13% HST applies to our prices. For any questions, do not hesitate to give us a call or contact us by email. 22. Can You Throw In the Second Shooter? No. A good photographer is expensive and to reach a certain level of professionalism, it takes years of experience. As such, we can not offer you a free second shooter. 23. How Many Wedding Photos Will We Receive? There is no formula to determine the exact number of pictures we will deliver. For example, if you have ten speeches, a live band, another band of mariachi and a group of dancers perform during your wedding reception, you will receive more photos than the couple who has fewer events. Every wedding is unique, and on average, we deliver about 50 photos per hour of shooting (that excludes breaks, travel time, etc.). If you think about it, we are talking about a picture a minute, and that is a lot. Some couples determine the value of the wedding photography by the number of images they receive. In effect, they want to know the price per photo. Each of our packages lists the number of pictures you can expect for you to be able to assess the fantastic value you are getting. 24. Do You Offer Wedding Videography Services? We see ourselves as photographers and focus on offering the best value in the Toronto wedding photography arena. At the time we do not provide wedding videography. 25. Do you Know a Wedding DJ, Hair Stylist, Officiant, etc.? Can you Refer Them? Do you Get a Kickback? If you are looking for a vendor, we would be happy to recommend a few names of reputable companies. We do NOT make any money and will refer you only professionals with whom we work and who offer high-quality services. What is your real cost if you hire the most affordable photographer and you don't like your pictures? What is your risk of hiring the most affordable photographer? What is the worst case scenario? Are you willing to accept it? Will the cheap artist be still in business when you get married? Also very important, will they be still around to deliver your wedding photos? Can you find any reviews of his services? Are quotes used as tools to compensate for inferior customer service? Is the quote to good to be true? If the cheap photographer is new, how experienced is she? Can they show you full albums so you can assess the quality of their work? Often budget photographers who lack experience only display a collection of the best shots on their website. Sadly, many of those shots were taken during workshops or model photo shoots, so they have no real experience. Buyer beware! 27. How Can You Keep Your Costs so Low? We always ask for feedback from each bride and groom regarding our offer. As such, over time, our collections evolved to include only items required by our customers. For example, brides told us they prefer to print their photos, so we decided to eliminate prints from our offers to cut costs. Also very important, we automated most of the non-creative services to be more efficient, and we passed the savings to you, our bride. We use tools, software or apps that make us extremely productive so we can keep our costs extremely low. Furthermore, we focus on quality, not quantity. By deliberately choosing to photograph a limited number of special events per year, we avoid unnecessary dilution of quality and keep all the critical processes in-house. It is a well-known fact that overexertion results in a drop in creativity and productivity. By photographing fewer marriages, we can control the quality of the wedding photos delivered while capping our costs. The most obvious way to contain our costs is to avoid high rent and labour costs. You will not find our studio in the ritzy Toronto downtown neighborhood where rents run north of $10,000 per month. If you think about it, the brides have to subsidize that fancy studio. Also, while we invest in technology that makes us more efficient, we don't drive expensive cars, serve you champagne during our consultations, and we often meet at your favourite coffee shop somewhere convenient to you as opposed to a French restaurant. More important, our second shooters are part-time photographers, and they do not add to our overhead costs. Finally, we don't employ salespeople who earn a commission by upselling the most expensive products regardless of your needs. By doing all of the above, we managed to control our costs, so we are competitive. Even more, we are active members of professional associations and that allows us to achieve a few goals. First, that membership provides us access to world-class education at a low cost. Also, professional associations have preferential agreements with leading photography industry suppliers. More importantly, the cost of recruiting our highly skilled second shooters is very low. Also, we actively monitor wedding photography forums to find great deals with regards to equipment, training, etc. Over time, we developed a consistent way of shooting that allows us not only to provide high-quality but also reduce unnecessary costs. By shooting in manual mode, we ensure a consistent exposure of all the pictures we take and thus, reduce unnecessary time spent correcting inconsistent exposures. That in turn, allows us to have an efficient post-processing workflow resulting in low costs. We partner with industry leaders who offer volume discounts. If you're not familiar with the concept of volume discount, it is straightforward. The more products and services we order the higher the discount we receive. As opposed to switching suppliers whenever a new entrant offers a low collection, we prefer to form long-term relationships and order from partners who, over time, provided consistent high quality at reasonable levels. Every year we hit a certain quota which entitles us to receive rebates. Of course, we pass the savings to you, hence our low fees. To keep your costs as low as possible we inform you when our partners run promotions so you can order prints and albums when prices drop. As a general rule, Black Friday, Christmas, New Year our times of the year when our business partners have sales. We will send you an email inviting you to take advantage of the deals. Our former customers received up to 50% off extra albums, thank you cards and large prints. 28. We Do Not Need Item "X" in your Package. Can We Get "Y" Instead? It depends on the item. Please contact me with specific products that you want to be added or excluded from a particular package. 29. What Forms of Payment Do You Accept? We accept cheques, cash and e-transfer at the time. 30. Will There be an Additional Cost if I Add More Photos to my Wedding Album? Your wedding album has 20 pages included. If the additional photos can be fit in those 20 pages, you will not pay anything extra. However, we do not recommend squeezing (on average) more than 1.5 images on a spread as it looks cramped. 31. Do You Have a Referral Fee? Yes, on average, our acquisition cost is 10% of our wedding price, and we offer a 10% referral fee if the couple you refer us ends up hiring us. 32. Can We Meet at Coffee Shop "X" in our Neighbourhood? Will You Charge a Travel fee? Yes! Many studios, to contain costs either insist that you visit their physical location or they charge a travel fee. If you want to meet in the GTA, we do not charge such fees. 33. How Much Will it Cost to Have a Cloud Backup? We do offer a free cloud backup of your wedding photos (terms and conditions apply). Do not hesitate to ask us about that service. 34. We Want To See Other Photographers Can You Reserve the Date For US? I encourage all my clients to meet with several photographers and compare their offerings. Still, until we sign an agreement and you pay a retainer, we can not secure your date. Having studied best practices in various industries including retail, car rentals, telecoms, and the food industry and being familiar with the wedding photography landscape in Toronto, we designed our collections with you - our bride - in mind. Considering that, we built our collections with two purposes: first, to make them as competitive and affordable as possible and second, to cover our costs and secure a reasonable profit margin. Sometimes we strike new deals with our partners who offer us preferred rates. In those situations and when we come across great deals for printing products such as albums, canvases, large prints, etc., we guarantee to pass those savings to you. While our profit margin will remain unchanged, you will benefit from a lower rate than you originally anticipated. We are a boutique studio committed to excellent customer service. Our technical expertise, doubled by a superb reputation defended by our professional photographers and attested by a long line of couples we served are offered at a very reasonable fee. We don't aim to exceed your expectations. We want to blow them out of the water! In our analysis of photography prices in Toronto, we noticed that most photographers who list their fees and packages present a deceivingly low fee or as they call it, the starting fees. After we calculated the total cost, we noticed a difference of $2,000 between the starting fee and your real expenditure. Another technique is to present the charges in instalments instead of the whole amount. For example, instead of offering a $3,000 package you will see 12 instalments of only $250. Studies have shown that the low rate increases the likelihood of purchase by three times. We do not support such misleading pricing strategies! Some couples make purchasing decisions with little regard for value and look for the cheapest offering. If you are one of the few customers who buy solely based on rates, we are not a good fit. Being the most affordable photographer in Toronto would contradict our ethical fees credo which states that the rate quoted should cover the costs and should be fair for both the couple and artist. We know that we are extremely efficient and our profit margins are low. As such, those who quote lower rates either offer lower quality or will charge hidden fees. In our experience, customers who are looking for bargain-basement photographers are also hard to please. In fact, by committing to servicing such customer, we hurt all our other customers by increasing our costs. As our couples scrutinize us before paying the retainer fee, we also interview our customers to make sure we are a good fit. It isn't unusual to send bargain hunters to some of our cheap colleagues. Our typical couple looks for value in our packages. They don't necessarily want the cheapest photographer in town but rather the one who offers the highest quality for their predetermined photography budget. Our brides are savvy shoppers who consider many options, and after careful the deliberation hires us. Why? Our brides realise the value of our services exceeds their cost by a large margin. Often, new photographers in the GTA charge ridiculously low rates for their services. They hope that over time, they will be able to raise them to match the market levels. In business, this is called a penetration strategy, and it is used by large companies to enter a new market. However, this strategy is rarely successful in our industry, especially in a city like Toronto. We will not charge a price lower than our costs as there are a few issues with this approach: first, a meagre rate does not allow a photographer to stay in business for a long time. Second, low rates commend low respect and the raise eyebrows. In fact, my experience showed me that in Toronto, wedding photography rates are inelastic. It is another way of seeing that at the beginning of my career, no matter how low I dropped my collections, I didn't book more events. The result was that I was overworked and grossly underpaid. Realizing that low rates are not the sustainable business model, I rapidly matched the local market levels. However, when I did that, I lost all my referrals. When a bride refers a photographer to her friends, implicitly they assume the vendor will charge the same rate. When I communicated the new quotes, my clients didn't book me. According to the fairness quotes principle, customers who feel the charge they receive is different for a comparable service don't buy. Research shows that offering three packages is better than providing only two. Present packages starting with the most expensive. In this scenario, clients have presented only two packages, Gold and Silver. About half of the clients picked the more expensive one. Interpretation of the tables above: when two packages are offered, the split between the higher and the lower collection is relatively equal (43% of clients bought the Gold package vs 57% the Silver one). The revenue generated in this situation was $443,000. When a new premium package was introduced, most clients bought the middle tier package, which, in the example above generated an extra $57,000 per year or a 12.8% revenue increase. Conclusion: offer Best, Better, Good or Platinum, Gold, Silver packages to maximise revenue. Purchasing decisions are made based on the left digits in the price amount, so we built our packages to reflect that. Clients perceive the difference between $1,999 and $3,000 is closer to $2,000 than to $1,000 because the decisions are anchored on the left digits. Also, $2,999 is perceived as more affordable than $3,000 even though the difference is only $1. When the left digit remains the same, the difference is not noted. For example, a Customer doesn’t perceive a significant difference between $2,699 and $2,700 because the left digit is the same. There are intervals where customers are utterly insensitive at price changes. In other words, if we increased our packages from $4,399 to $4,799 the number of sales will not change. 10: The way prices are positioned in customer’s mind makes a big difference. In the table above, the left column shows how we should position pricing related moves. c) How is the quote in comparison to what friends paid for related services? Because we list our prices, we don't encounter this problem. However, many studios who provide custom offers have trouble explaining why they charged $X to one client and how they are charging $Y. We are fully aware of the fairness effect and keep our pricing policies fair and transparent. Price fences are tools used by our competitors to make price comparisons difficult for the couple and to increase the perceived fairness. Time Book us at this Bridal Show and save. Service Our Platinum package includes two consultations versus none in the others. If seems fair to pay more for Platinum. Branding Nike vs Noname…it seems fair to pay a higher price for the Nike shoes. Distribution channel Buy online and save 5%. We avoid round prices as they seem fake. Telecom companies master this pricing strategy among others. Question: which price seems more realistic, based on cost calculations? $3,000 or $3,125? Writing the price of a big ticket item using small fonts sends the message the price is lower. In our advertising, we do not only have low prices, but we print them in small fonts. Each brand is associated with a price. What happens when you say, Mercedes? You automatically expect the brand to command a premium price. 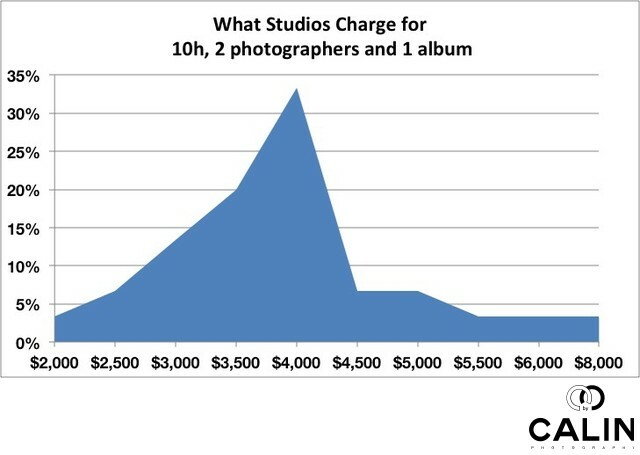 In Toronto, when you say Mango Studios, a high-end studio, you expect to pay over $7,000 for their photography services. If your wedding images are breathtaking, but your prices are below average, the disconnect will shortcut the brain and clients will not book you. The phenomenon is called cognitive dissonance, or "something is fishy". If you want to charge higher prices, invest in your image so that your brand identity matches the rates associated with it. Studies show that by using “only” in front of a price, the service is perceived as reasonably priced. For example, Full day coverage for only $5,000 sounds better than Full day coverage for $5,000. The way the digits increase or decrease influences our perception. Studies show that for example $2,789 (where the last three digits raise), sounds significantly more expensive than $2,765 (where the last three digits drop) even though the difference is of only $24. Do you want to be perceived as an affordable photographer? Price your packages so that the direction of the digits is falling. Are you building a premium brand? Your prices should look like $5,789 and not $5764. Smaller amounts are easier to be accepted than large numbers. Instead of presenting the price as a total “My platinum package is $6,000” some studios present the price as three payments of only $2,000. We call it funny money because you end up paying the same amount, but it feels cheaper. Studies done on subjects who paid monthly subscriptions showed that they were more inclined to use the services those who paid annual fees. The monthly instalment/fee is a constant reminder that the service is paid for and as a result, used and valued more. Let’s assume a couple hires us in August this year and are getting married next year in August. By splitting payments, we achieve a few things. First, the split payments remind the couple periodically of us; as a result, our clients will be more inclined value wedding photography more. Second, by receiving several payments, we will be able to reduce cash flow fluctuations. Third, it makes it easier for the couple to pay the cost of wedding photography in several payments. We know studios who charge $6200 if you split payments instead of $6000. They include a so-called convenience fee, in fact, charging a hidden fee. We do NOT condone such practices. The only difference between Package A and Package B is the way prices are presented. In the Package A, the engagement is listed as FREE, while in Package B it is part of the collection and it implies the clients need to pay for it. Many clients who book Package A will not take advantage of the Free Engagement session. On the other hand, when you present your collection as Package B, couples will do two things: either have the engagement photo shoot because they feel they paid for it, or ask you for a discount if they don’t need engagement portraits. As such, if in your packages you add items that your clients do not value, mark them clearly as FREE. Otherwise, the clients will start bargaining if they don’t value the service/product included. To avoid such situations, we just do not offer engagement sessions in our packages. Higher prices mean higher perceived quality and lower risk. Some studios target only affluent clients, so they charge premium prices. The truth is, in many cases their photography average, but their branding is top notch. The opposite is valid too. Low prices indicate poor value and high risk. Here is my story. As a fan of pricing research and price testing, I experimented. Through a separate channel, I offered a bargain price for my services and surprisingly, I booked fewer weddings…Why? In a bride’s mind, a low price is an indication that the quality is questionable, that the photographer is not booked. That poses a risk as he might not be in business by the time the couple tie the knot. Brides don’t want to take the risk of losing the down payment or not having their photographer present on the couple’s Big Day. As a result, they just book someone else. The internet is flooded by stories of couples whose cheap photographer did not deliver the wedding or engagement pictures. These days, cheap equals very risky. The sound of digits in couple's heads also impacts price perceptions. We associate short vowels with low pricing and long vowels with…you guessed, long prices. The shorter the words in your price, the lower the perceived cost. That is also the reason we eliminated comes in pricing. Not convinced? Just think of the luxury brands. Did you ever see a price tag on a Tiffany ring? If you are an affordable photographer but don’t list your prices, that will hurt you as many brides will not inquire your prices. Listing prices ensure that clients who want to see you are qualified. In other words, they can afford your services, they like your work and are serious prospects. Don't list your prices online and nobody will even bother contacting you. At a bare minimum, you should list a starting price. I always try to work with a couple to build a custom package that meets their needs. However, I rarely discount my packages. What I am willing to do for the right couple, is offer extra time or services that do not have a hard cost for me. For that strategic client who is getting married at the best location in town, I could give them 1-2 extra hours of photography. By avoiding discounts, I do not cheapen my work and clients they refer to you will expect to pay the same price. Premium brands do not offer discounts. Just think how often you see an iPhone on sale. In our experience, the only pictures the bride and groom enjoy regularly are those included in their wedding album. As such, in this digital age, I always emphasize the importance of a printed photo album. Besides the massive 12"x12" albums, we offer parents albums in a 10"x10" format. Many couples have at least one of their fine images printed by one of our partner labs. The fine art photographs are printed on premium archival paper using a 16bit process. Our large prints use a variety of paper such as Luster, Glossy, Metallic and Matte. We highly recommend that you mount prints on a board or ideally between plexiglass and a board. Mounting gives a floating feel to your images. We offer several options for canvas prints among which, the most popular are canvas wraps and framed canvases.